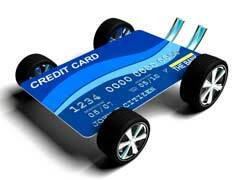 When it comes to credit cards, there are a lot of nasty myths and misconceptions passed around. These can often scare off first-time applicants for standard and balance transfer credit cards, but most are untrue and are not worth paying attention to. To clear things up, let’s bust some credit card myths. Some people believe that if you are refused for credit, you have debt or you have County Court Judgements (CCJs), then your name will be included on a credit blacklist and that no lender will go anywhere near you. This myth is completely unfounded – there is no such thing as a universal credit blacklist. It is true that your credit history plays a part in whether you’ll be approved when you apply for a credit card, but not all lenders are looking for the same things. Besides, anything that has gone wrong in your credit history can be remedied and you can improve your credit rating with a few simple measures. Similar to the myth about credit blacklisting, some people believe that all lenders and credit reference agencies (the companies that lenders use to carry out credit checks) use exactly the same credit scoring system. If this were true, you would not be able to get an application approved anywhere if you were turned away by one lender. Luckily, this myth isn’t true. Credit reference agencies will use many of the same methods and tools to get information about you and your credit history, but in truth, each lender will have their own specific wish list for their ‘perfect customer’. This often relates to how much profit they can make from you rather than just the risk you represent. So, if you are rejected by one lender, this doesn’t automatically mean that all others will turn you down. It is thought by some that by checking your credit record, through a credit reference agency (usually for a small fee) can damage your credit rating. No one really knows where this myth came from, as it is completely untrue. Checking your credit record has no effect on your score and it can actually be very useful as it allows you to identify areas you need to improve on to boost your rating, as well as giving you the chance to correct mistakes in the information held about you. Knowing that you have a fully accurate credit record, and with the reassurance that your credit score is good, you can get on with finding the lowest interest rates and getting the best credit card balance transfer deals.